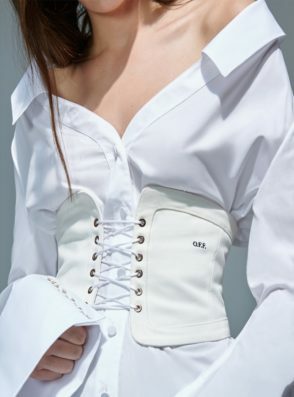 For the Off-White x MyTheresa.com collection, Virgil Abloh took inspiration from the 1980s film ‘Working Girl,’ specifically the business attire of the character Katharine Parker. Starting with tailored separates and crisp cotton shirts, the runway show then transitioned to what we know and love from the label – urban designs with a certain laid-back coolness. 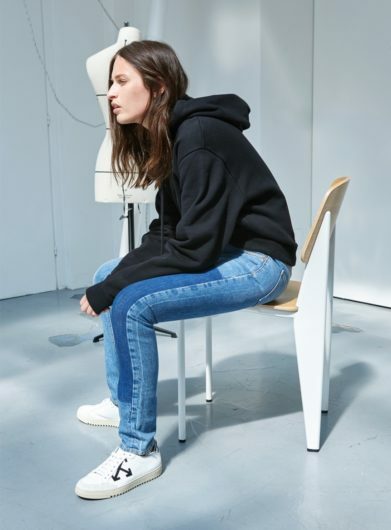 Tie-dye, “Off” lettering and the label’s signature diagonal stripes add graphic and colourful attitude to the slouchy silhouettes. 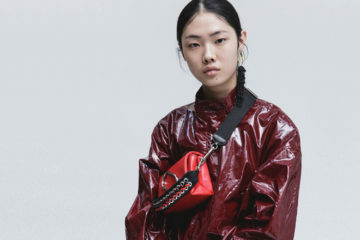 Drawing from Off-White’s streetwear influences, the 9-piece assortment stays true to the brand’s DNA while also introducing feminine touches like an olive green corset worn over a white tee. But the combination of loose and fitted silhouettes is not the only thing making Abloh’s collection for MyTheresa.com different than the others: the collection was developed with an open-source approach. “The concept of the capsule collection was to give people on internet the opportunity to get involved,” says Virgil Abloh. 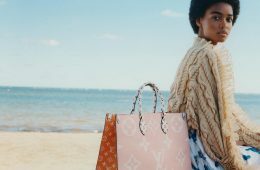 With the rise of the internet and social media, fashion consumers can now take a more active role and influence the cut and shape of a piece, he said. Off-White was launched in 2013 by Virgil Abloh, an architecture graduate, DJ and, most famously, Creative Director for Kanye West. This American designer wows with a world of luxury and urban authenticity, creating pieces which “embrace the now in a sophisticated manner”.